Sgt. George Victor Huzzey, M.M. 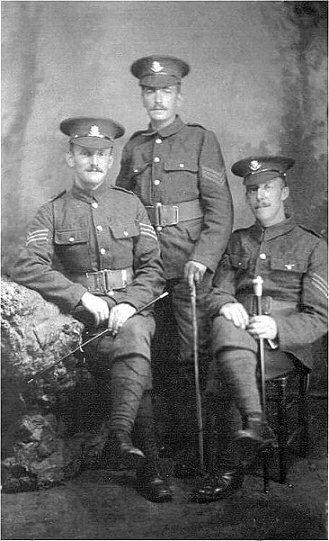 (6355) seated on the right - 3rd Battalion Worcestershire Regt. He was awarded the Military Medal in 1917 and in 1918 became a POW.